You can create LinkedIn Social widgets in your Reportz dashboard in 3 easy steps. 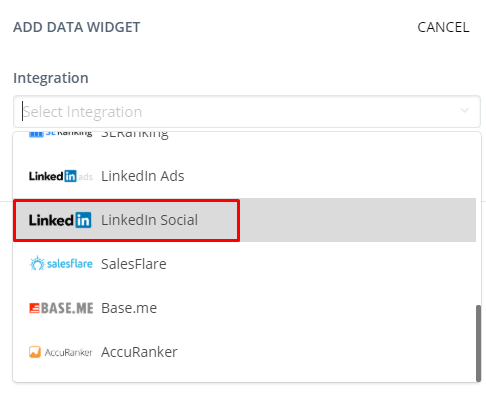 Once you’re in the dashboard you want, in the upper right corner of the app, click on Add Widget and in Select Integration choose LinkedIn Social. 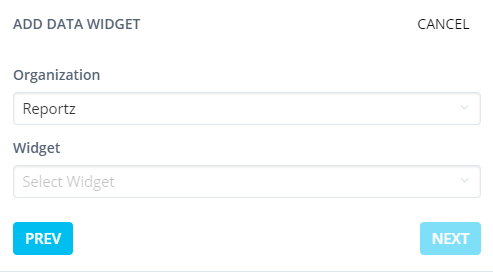 In the Select Organization menu you need to choose the organization for which you want to show LinkedIn Social metrics and select the widget type. 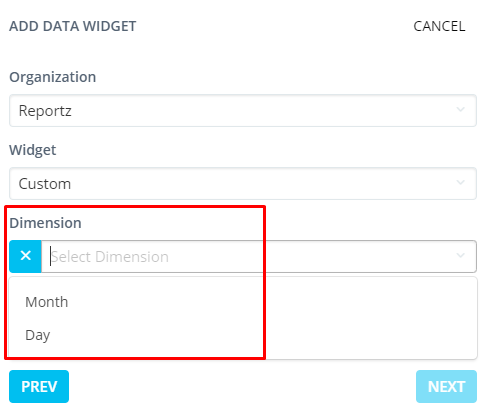 In the Select Dimension menu, you can choose Month or Day dimensions. Choose the one you want. 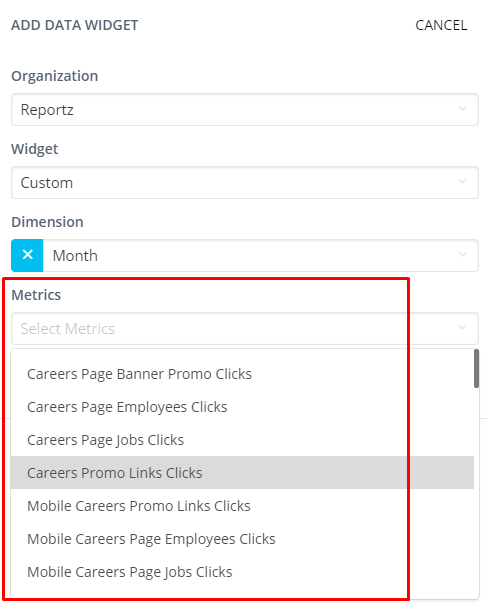 Now it is time to choose the LinkedIn metrics you want to show in your widget. Simply click on Select Metrics menu, opt for the ones you want displayed, and click on Next. 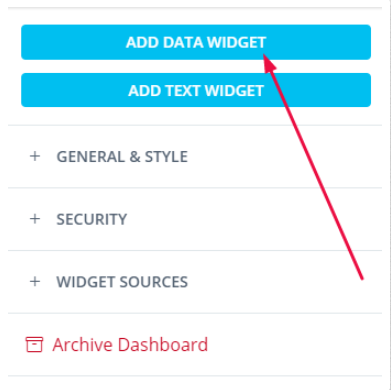 In this step you can rename your LinkedIn Social widget, write widget description and choose the metrics you don't want to show. 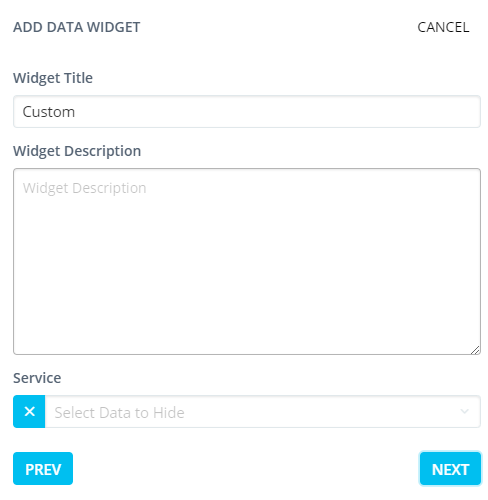 In the final step you can choose the size and select the visual type of your widget. Once you’re happy with your choices, simply click on Submit. The widget below shows the number of Engagements and Impressions for the selected date range. NOTE: By hovering a cursor over a certain point in time on your chart, you can see the exact number of, in this case Engagements and Impressions, for that particular moment within the date range you’ve chosen. The next one shows Organic Followers and Paid Followers. The following widget is showing a comparison between Total Page Views, Desktop Page Views and Mobile Page Views. The 4 widgets below are showing the number of Clicks, Comments, Page Views, and the Engagement Rate for the selected date range.